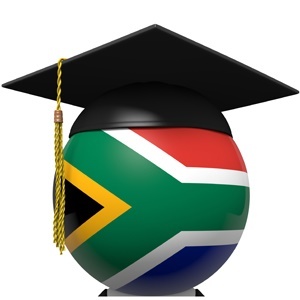 Cape Town - University scholars who publish their research in "dodgy" online scientific journals may be compromising their integrity in the new race to publish swiftly and prolifically, the Department of Higher Education and Training (DHET) acknowledged this week. The department was responding to queries after education experts raised serious concerns over the steady increase of South African research papers published in foreign "predatory journals", that often dispense with the time-honoured peer review process, or simply provide fake peer reviews. Predatory journals have been described as publications that prey on young and unsuspecting scholars to submit their manuscripts, solely to make money from the scholars - often imitating the names of legitimate academic journals. While these journals claim to be based in the United States, UK, Canada or Australia, most appear to operate from Pakistan, India or Nigeria. Writing in the current issue of the SA Journal of Science, Stellenbosch University education expert Prof Johann Mouton said a recent study showed that there had been a sudden spike in the number of articles from South African researchers in journals that were considered to be predatory. Mouton and his colleague Astrid Valentine warned that subsidies from the Department of Higher Education and Training appeared to be driving a trend that could bring the country's higher education system into disrepute and devalue the quality of scientific publishing. They urged the department, "as a matter of urgency", to review its list of approved journals that allow scholars to claim a subsidy for publication costs. Assuming that all the South African papers published in predatory journals each received a R1 000 subsidy, then up to R300m had been paid to local universities by government in recent years for publication in predatory journals. Responding to queries on Monday, the department acknowledged that Mouton's research had highlighted the magnitude and prevalence of publication in predatory journals by South African authors and universities. While it stopped short of announcing an immediate review or moratorium on its approved list of journals that qualify for subsidy payments, the department said publication in predatory journals tarnished the quality and integrity of researchers and their universities. The department said it had already taken action when there was evidence of unethical practices at play in the publication of journal articles and it had also funded a new research project – led by Prof Mouton – to ensure that government only funded "quality research". If there was satisfactory evidence that any journals named by Mouton were involved in predatory publishing, no further subsidies would be paid for articles published in these journals. "The department is committed to incentivising good research and to ensuring that research productivity is rewarded. However, vanity or predatory publishing will not be recognised, and it is expected that all institutions uphold high standards with respect to the research outputs. In the SA Journal of Science article, Mouton and Valentine commented: "It is important to emphasise that it is not our view intention to lay blame on individual academics who have published in predatory journals. There is enough evidence to indicate that many academics are quite unaware of these practices. "Young and inexperienced scholars are often advised by senior academics to publish in such journals without knowing that this may compromise their academic career."